Despite the difficult operating environment in the oil and gas industry, Cenovus has continued to actively drill and produce in Alberta. 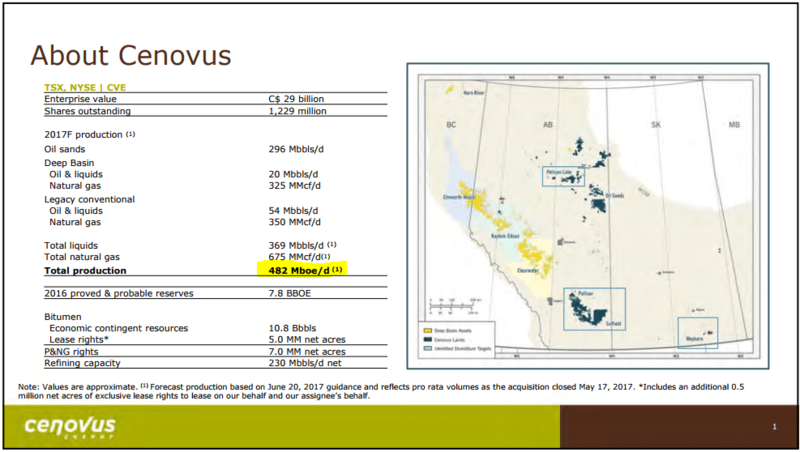 As forecasted in their corporate update of Jun 20, 2017, Cenovus has estimated total production to be 482 Mboe (482,000 boe) by the end of 2017. See excerpt below. While the production estimate includes the assets they’ve purchased from Conoco-Phillips, we at Fuzeium were curious as to what kind of drilling program they’ve had in Alberta. Between Jun 26, 2016, and Jun 21, 2017, Cenovus and Cenovus FCCL drilled 562 wells, which is more than their next competitor CNRL (438 Alberta wells drilled) and significantly more than the top 10 (licensee) average of 190 (Alberta wells drilled). Cenovus’s drilling operations accounted for about 14% of total drilling activity in Alberta during that period. Cenovus’s drilling activity in 2017 relates to 195 licenses issued since the beginning of the year. Their licensing is split between their Heavy Oil assets (Foster Creek/ Christina Lake) and their Crude Oil assets in South East Alberta. 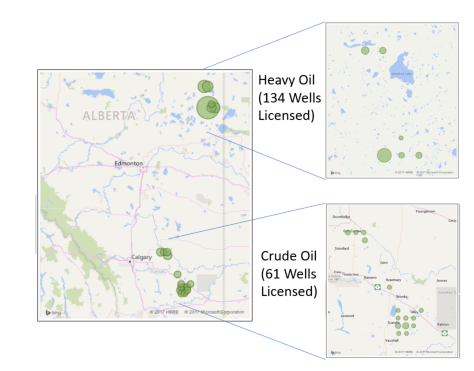 In short, Cenovus has been the most active licensee in terms of drilling wells in Alberta from Jun 2016 to Jun 2017. 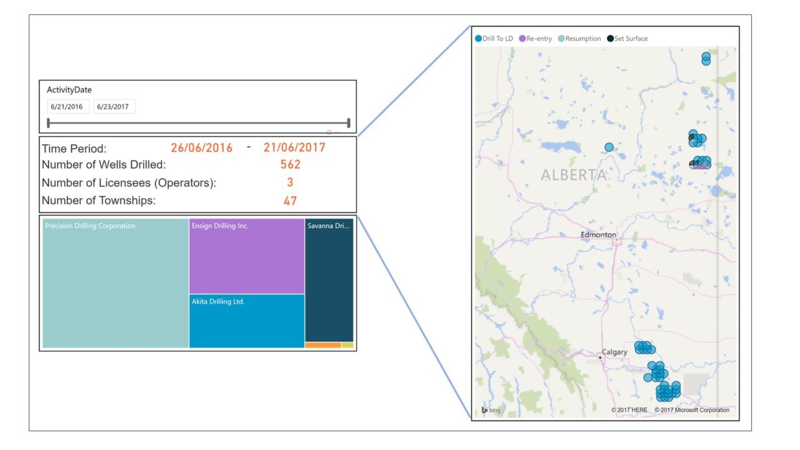 * the maps above were derived from Fuzeium’s Well Intelligence dashboards for Alberta, which interprets public data from the AER.